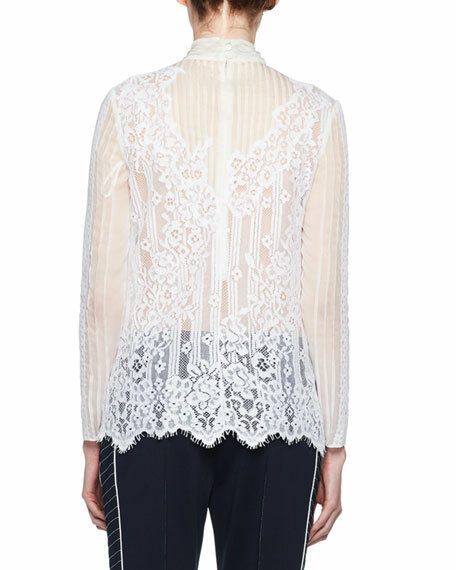 Valentino blouse in sheer chiffon lace. 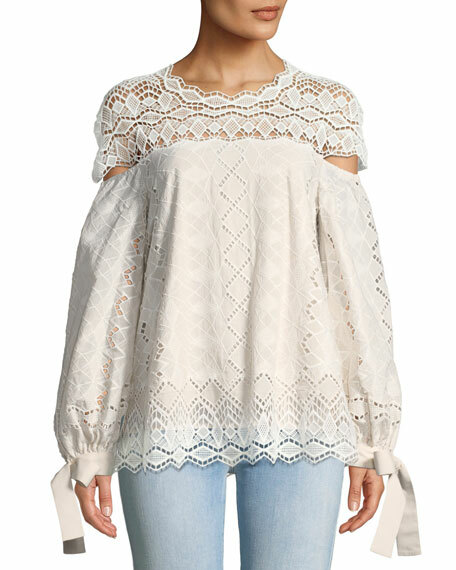 For in-store inquiries, use sku #2360377. 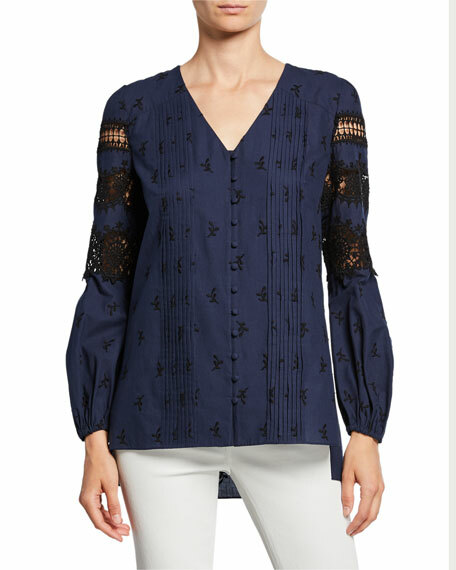 Kobi Halperin "Marlie" blouse with ruffle-trim. 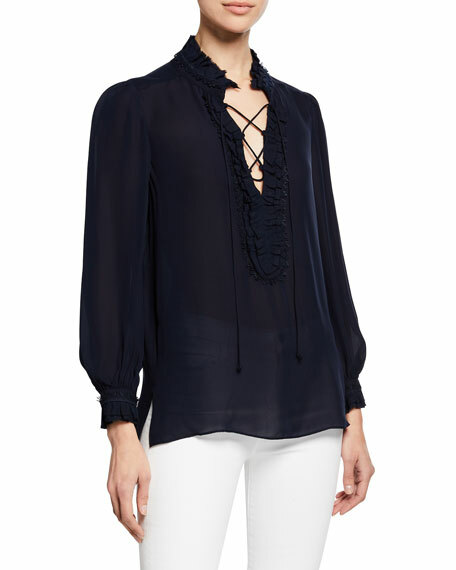 V-neckline; lace-up drawstring front Long sleeves; button cuffs. Yoke seamed back. Semi-fitted silhouette. Vented sides. Straight hem. Pullover style. Silk/viscose. Dry clean. Imported. 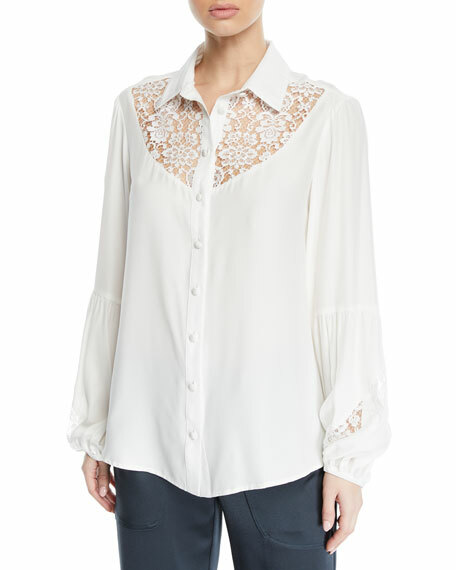 Nanette Lepore "Peace and Love" silk blouse with sheer lace details. Spread collar; button front. 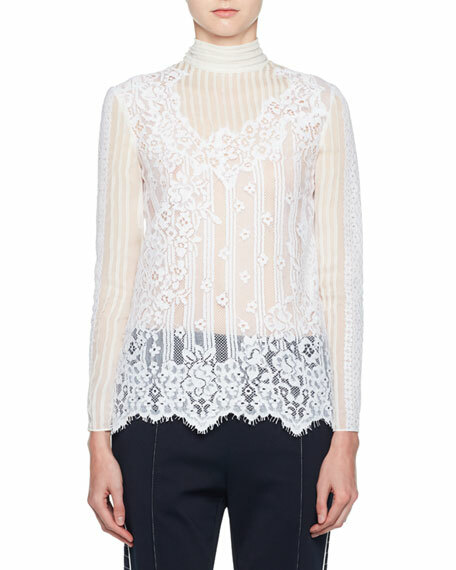 Long sleeves; lace inset at cuffs. Relaxed silhouette. Below-hip length. Silk; dry clean. Imported.